Break up bar into small crumbs. Spoon half of crumbs into bottom of mini trifle dish. 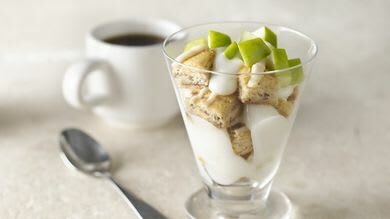 Top crumbs with half of the yogurt; top with apple. Repeat layers; sprinkle with walnuts. 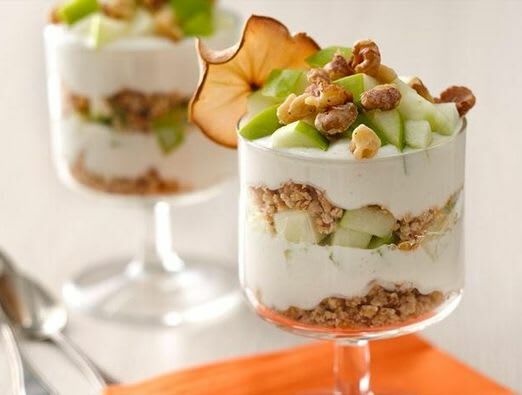 Garnish with apple chip. Look for mini trifle dishes in home stores or kitchen supply stores. 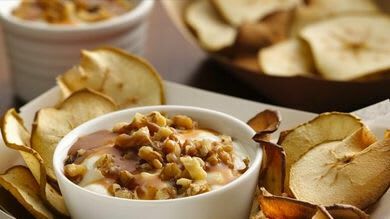 Look for crispy apple chips in the natural foods section in grocery stores. They can also be made easily at home. 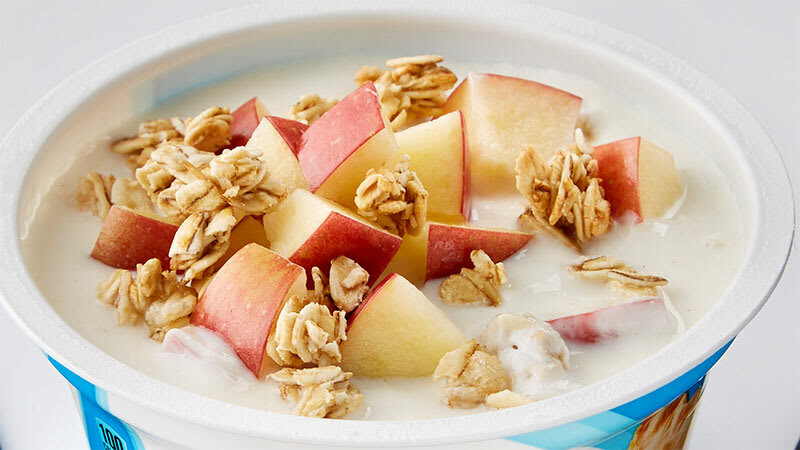 Heat oven to 275°F; thinly slice apple and place on parchment-lined cookie sheet. Bake 30 minutes; turn slices over. Bake an additional 20 minutes, or until golden brown and slightly crispy.